The Florida Civil Rights Act (modeled after Title VII) prohibits discrimination on those bases, and additionally prohibits employment discrimination on the basis of age, marital status and handicap. On the Federal level, the Americans with Disabilities Act (“ADA”) prohibits disability discrimination and the Age Discrimination in Employment Act (“ADEA”) prohibits age discrimination. The federal law does not have “marital status” anti-discrimination protection like the State of Florida has in its Civil Rights Act. Each of the anti-discrimination statutes has a specific scope of coverage, and statutes of limitations also apply. Many of the statutes contain administrative filing prerequisites with short deadlines to which employees must adhere in order to preserve their claims. Prior court rulings and statutory exceptions apply to each of the anti-discrimination laws, making these cases complex, demanding and challenging to pursue. Often employers present to employees a “release of all claims” or severance package offer which contains a waiver and release of claims. It is important for employees to have such documents, and the facts and circumstances of their situation, reviewed by a knowledgeable attorney prior to signing. When a release contains a release of “age discrimination” claims, an employer will typically provide the employee with a written release that provides for 21 or 45 days to review and sign the document, offers consideration to which the employee is not otherwise entitled, indicate that the employee should seek an attorney’s review of the document, provide that the employee has 7 days to revoke, and other procedures. These type of procedures are from the Older Worker Benefit Protection Act (OWBPA) which provides certain requirements for an employer to be able to show that an age discrimination waiver is “knowing and voluntary”. At Sigman & Sigman, P.A., the attorneys often consult with employees who are presented such waiver documents and advise them as to their options and rights in their particular situation and in light of the unique facts of their individual case. Because each case and each fact-scenario is unique, employees should consult their own individual attorneys in such matters, and not rely upon what a co-worker, human resource representative or supervisor may explain or relate to them in relation to their legal rights. Cases involving workplace discrimination are time-sensitive, and waiting past the applicable statutes of limitations will cause an employee’s claim to be time-barred. Therefore, if you feel you have been the victim of workplace discrimination, it is important that you contact our office or another attorney of your choice as soon as possible. Often the employer claims that the reason for the employment action in question was a “legitimate business reason”, while the employee believes that the real reason was discriminatory, and that the employer’s stated reason is mere “pretext” to cover up the discrimination. These positions cause employment discrimination cases to be fact-intensive, and comprised of countless pieces of evidence. Some employment cases involve “direct” evidence, such as where an employer tells an employee that she is being terminated because the employer wants a man to do the job. Most employment discrimination cases, however, are “circumstantial”, wherein the employer claims that the reason for the employment action or termination had nothing to do with discrimination, and the employee has to present evidence to disprove the employer’s stated reason and show that in reality a determining factor was age, race, gender, etc. The Attorneys of Sigman & Sigman, P.A. have been representing Altamonte Springs, Orlando and Central Florida residents who have been subjected to workplace discrimination since 1992. Sigman & Sigman, P.A. 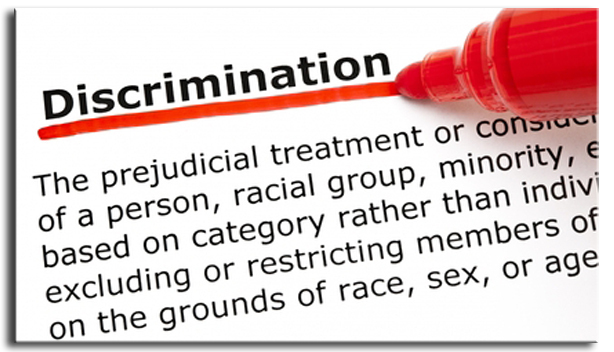 has the knowledge and experience to handle detailed employment discrimination law issues.